Taking care of your teeth is important, especially since these are among the most essential parts of the body. Your teeth are responsible for chewing food and making digestion easier. They can also help you pronounce words clearly in order to communicate efficiently with others. Moreover, they can give you a bright smile, unless your smile is inhibited by oral problems. To ensure that you’re following the proper oral hygiene to maintain healthy and strong teeth, always keep in mind these simple tips. Now is the best time to reflect on your current diet. Sugar is one of the greatest contributors to tooth decay. Because bacteria use sugar to produce acid that affects the health and condition of enamel, you should consume sweet food and drinks with caution. On the other hand, apples, carrots, pears, and celery, among other crunchy fruits and vegetables, are a good source of nutrients. They also help in the production of saliva, which is essential in teeth protection. Drinking plenty of water instead of soda and fruit juice is also good for your oral health. The same goes with chewing sugarless gum for ten minutes after eating. The gum increases salivary flow that helps protect teeth. Brushing and flossing are necessary to keep your teeth clean and healthy. Your dentist in Maryville, TN will probably recommend the use of a soft-bristle toothbrush to avoid damaging the teeth. You should brush twice a day, morning and night, for two minutes. The proper way of brushing your teeth involves back and forth movements, as well as small circular motions. Flossing, on the other hand, is done to get rid of plaque and food particles that are hard to remove by a toothbrush. This can prevent the accumulation of plaque and tartar, which can cause cavities and gum disease. 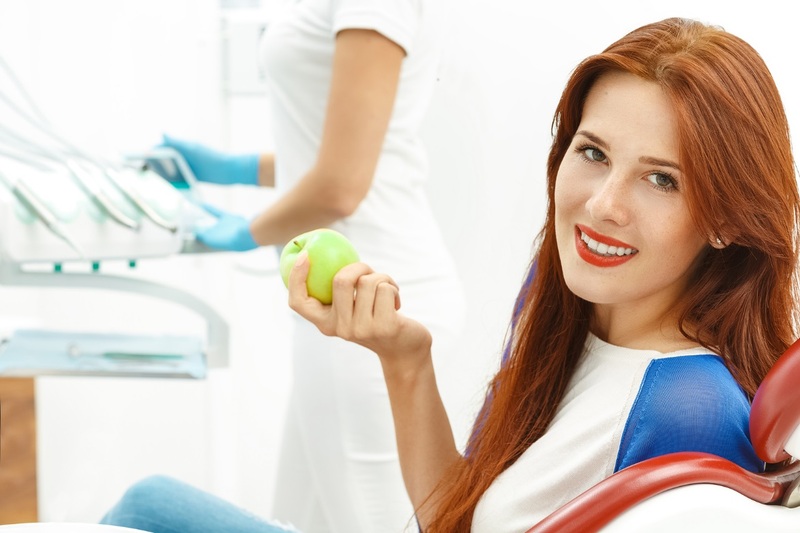 Finally, seeing your Maryville dentist for checkups and professional cleaning is a good habit to develop. Though flossing and brushing can help significantly, removal of plaque in hard-to-get-to places is done by a professional who uses the specialized tools and equipment. Also, a regular visit to the office allows the dentist to spot problems before they get worse, saving you from costly and more painful oral health issues.